Guys, Chris Pratt is engaged. 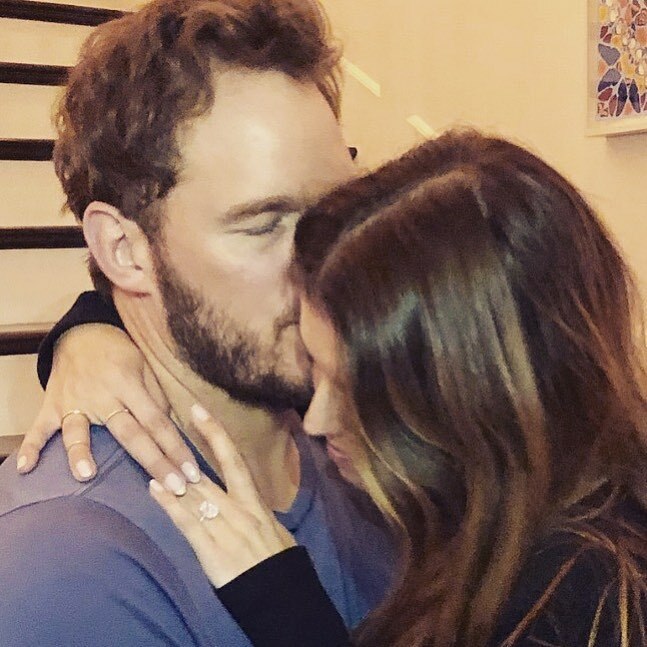 And as much as we mourned his utterly-upsetting divorce with Anna Faris, we found a way to move forward - and have really embraced his relationship with Katherine Schwarzenegger. They’re adorable. 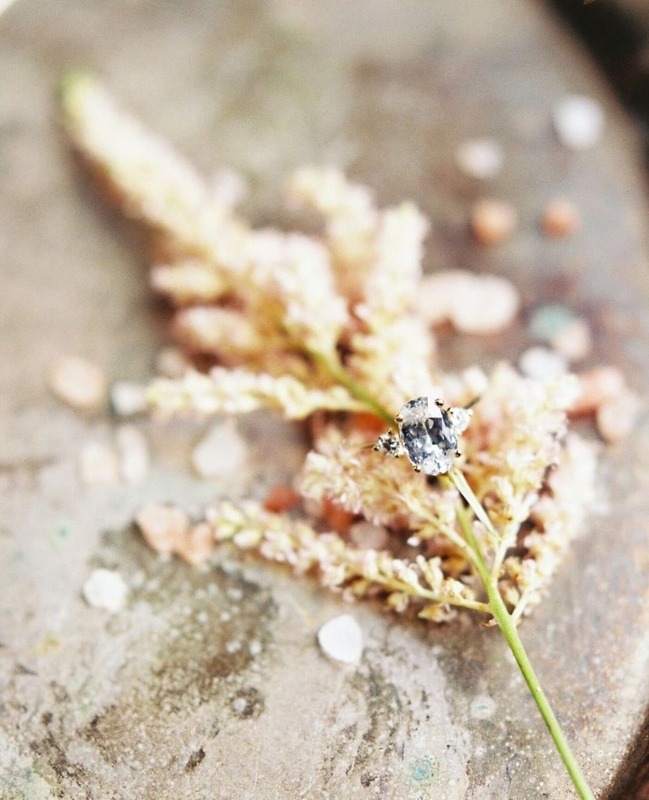 So, when I woke up this morning, scanned my Insta feed, and saw his 💍💍💍, I was beaming. Like 5,000 candles in the wind kind of happiness and excitement. I didn’t even have to read the caption OR spot the colossal ring, because the photo had that ‘we’re engaged’ pixie dust sparkle allllll over it. You could immediately tell, by their soulful hug, that these two had entered into a new chapter of their love story. So, so sweet. But then we move along to the ring, because it’s total #awesomesauce (sorry, as hot as Jurassic Park Chris Pratt is, his awkward Andy Dwyer self still does it for me). 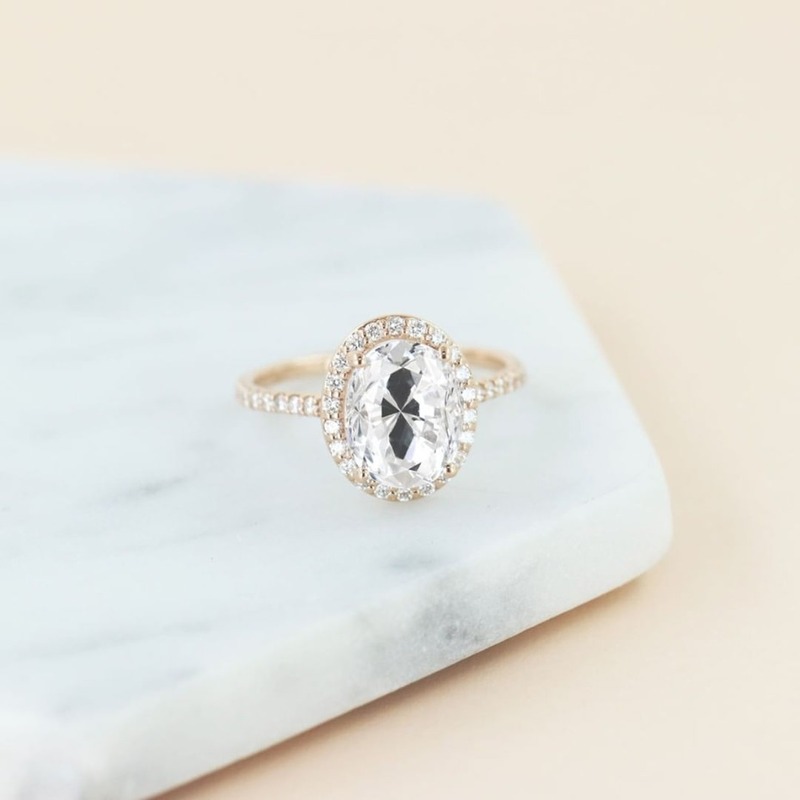 From the looks of it, Katherine said ‘YES’ to an oval or cushion cut solitaire ring. 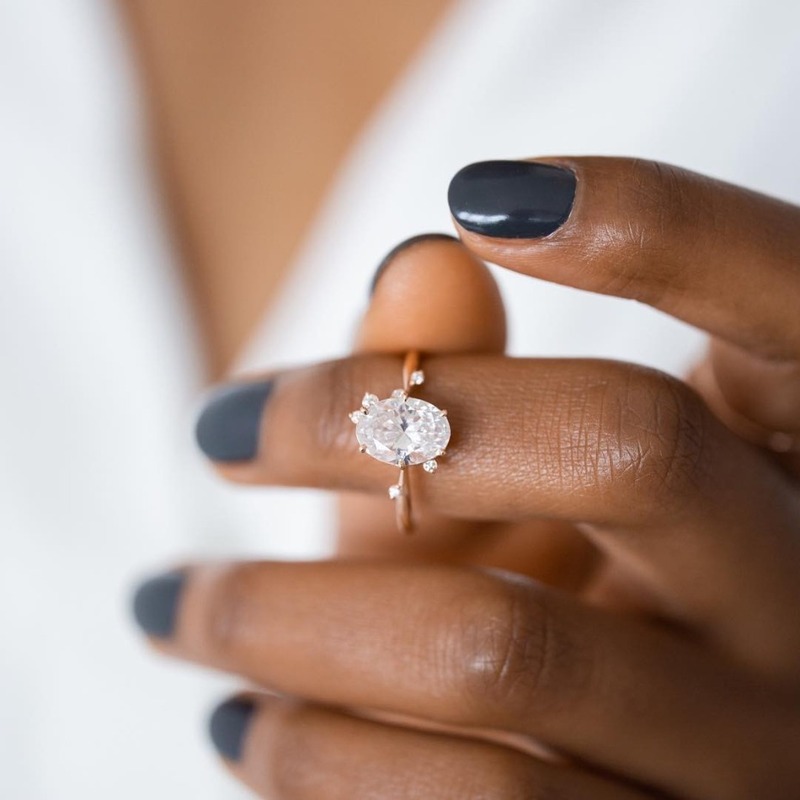 The center stone is huge, and according to ring experts who spoke to TIME Magazine, it’s easily six to 10 carats and mounted in a hand-crafted setting that perfectly suits its size. Probably costs hundreds of thousands of dollars, too, which isn’t surprising - for a guy with galactic career goals as of late, that is. 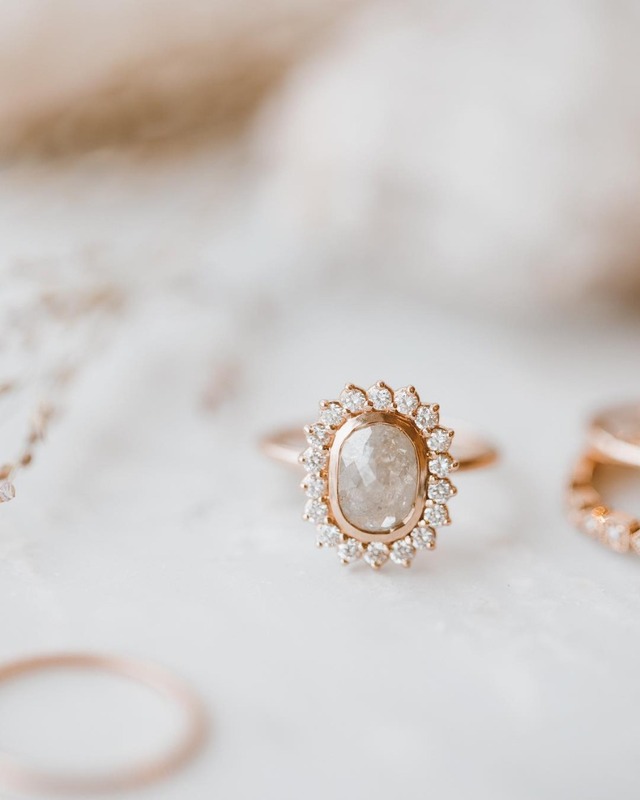 In any case, before we jump into a few of our favorite rings that have Katherine’s look all over them, we just wanted to give our girl, Anna Faris, some serious love and all 👊 the 👊 pumps 👊. Not only do we adore these two (Chris and Anna) for keeping things civil+ after their divorce - namely for their cutie patootie 6-year-old son, Jack - they also support and seemingly wish the best for each other on the reg. They’re adults, they’re not petty, and they know how to set stellar examples. Anna commented on Katherine’s regram of Chris’s Insta post and said “I’m so happy for you both!!! I love you guys! !” This is how to congratulate your ex and show them that you’re still in their corner! Here’s hoping that this wedding will be epic. We already know they’ll have the raddest ring bearer/best man (fingers crossed for you, Jack) ever. Now, we just need to make sure a Parks and Rec reunion will be worked in somewhere… Just thinking about the possibility of it gives me life. 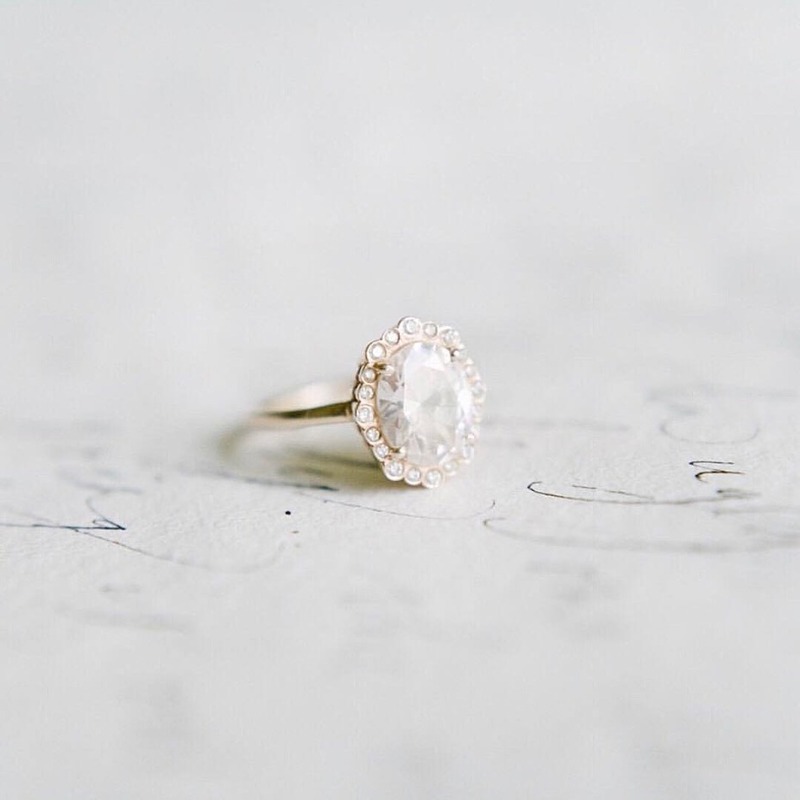 You'll also want to keep up with our favorite engagement ring and fine jewelry designers on #inspiration. 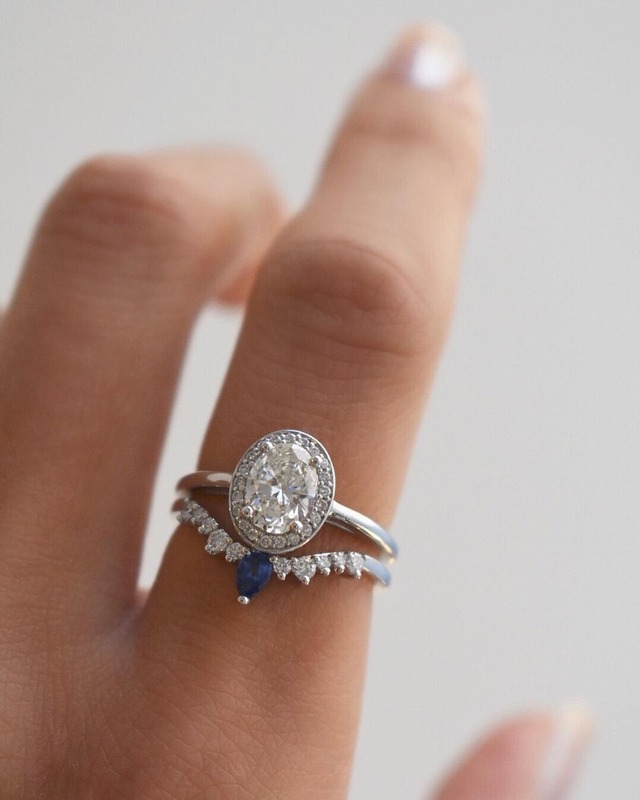 They've all got oval and cushion cut beauties!